Every year or so I take a little road trip to Arizona passing through Phoenix or Flagstaff. Sometimes, it's out to Monument Valley or straight on through to New Mexico, but more often then not there's a little stop over in Sedona. And since this little series of Sedona images is part of the QR Code Project, here's the interesting part: the images on this page change. So, every time I capture a compelling image of Sedona, it will be added to the Sedona photo gallery you find here. The QR Code stays the same, but the gallery of images will change over time. 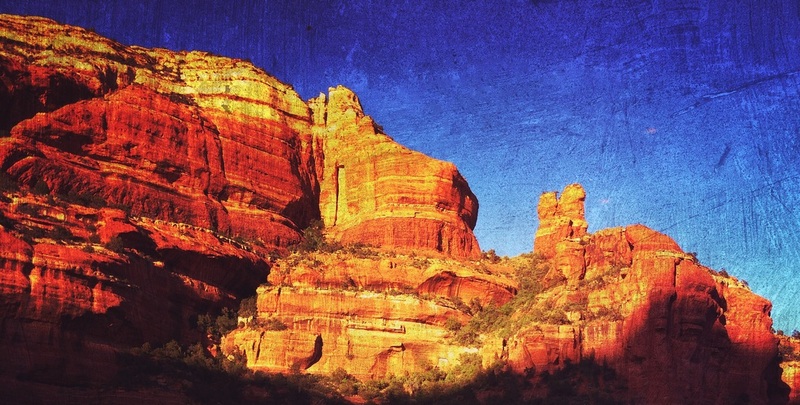 Last year whilst visiting Sedona, I heard a lecture by the photographer Tony Sweet on the use of iPhoneography. So, in that spirit all photos that are part of the Sedona collection have been touched by the iPhone or processed with an iPhone App. In this case the App is called Mextures.